Blurb Description: In the future there is no disease. There is no war. There is no discontent. All citizens are complacent members of the Global Governance. But one summer is about to change everything. This review is of the Audio book Version of the book. I ADORE Audio books. I don't get the chance to listen to them very often because they are just SO damn expensive, but when I saw the audio book tour for Anomalies, I was super excited. I quickly read up the blurb description and signed myself up for the tour, and when I got chosen I SQUEALED in excitement. 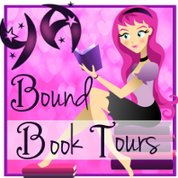 I saw on a friend's review on Goodreads that this was a book for fans of Matched by Allie Condie. I haven't read the series yet, but I've seen it around and I thought something as intriguing as Matched could only be a good thing. One of the first thing I realized as I started with the audio book was that I loved the voice of the narrator. It was British (? )(I'm terrible with figuring out accents) and so SO well done. It instantly made me believe the things she was saying, even though the it opens from the point of view of a six year old. Set in a futuristic world where a Great War has wiped out a large part of the human population, people live in five different sects (Like in Divergent?) The Main Character, Keeva lives in the Ocean community. In this post war world, when a child turns fifteen, they must go to Monarch Camp to meet the person they've been paired with since they were five years old. Keeva is excited, until the whole event turns into a nightmare - she's an anomaly, someone without a partner to imprint with. And you know how the story goes from here. I'm not spoiling anything, but I will say the Keeva is a GOOD protagonist, one that will keep you on your toes, that this book and the plot are well thought out and executed and that if you're a fan of Divergent or Matched, this book SHOULD be your next read. COLETTE FREEDMAN- An internationally produced playwright with over 25 produced plays, Colette was voted “One of 50 to Watch” by The Dramatist’s Guild. Her hit musicalSerial Killer Barbie can be heard here. In collaboration with The New York Times best selling author Michael Scott, she wrote the thriller The Thirteen Hallows (Tor/Macmillan). Her novel The Affair (Kensington) came out January 29, 2013. Her sequel novel The Consequences(Kensington) came out January 28, 2014. 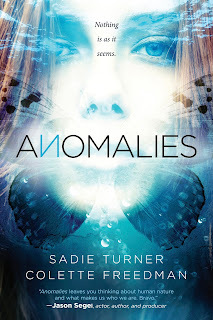 Her YA novel Anomalies (Select Books) came out February 9, 2016. She also co-wrote the film And Then There Was Eve which is currently in pre-production and begins principal photography May 2016.